There are plenty of opportunities that are provided by the Internet of Things to a business. It offers a better platform for your business to make a desirable profit. 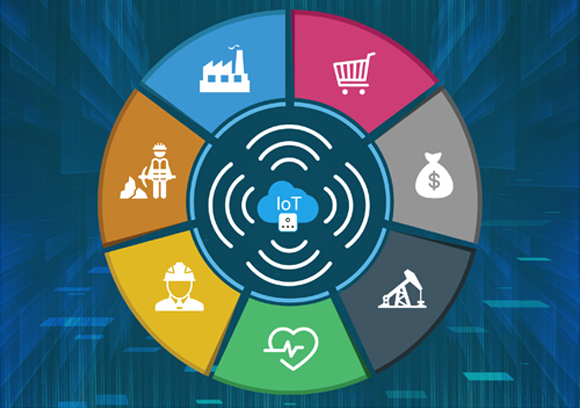 We at Softweb Solutions had a couple of brainstorming sessions and have come up with some ideas that can give a complete make-over to your business with the help of IoT. We shall be sharing our knowledge and research on IoT and IoT Platforms, elaborating on business benefits and features provided by them. We will also be sharing the research of developers showcasing the benefits of this tech in different sectors of business. With the help of some use-cases, Softweb Solutions will also allow attendees to get a glimpse of IoT-powered smart solutions. Question 1: what devices and network protocols are you compatible and tested your platform with? Answer 1: We have made the platform compatible with various devices and protocols. Majorly we have worked on devices like MQTT, MTConnect, BACNet, ZigBee, AMQP just to mention few of them. In terms of devices, we have majorly worked with several PLC/DCS systems like Siemens, Toshiba and other generics ones. We have few implementations where data is coming from other sensors like Beacons, Bosch XDK, Wearable Health care devices etc. Question 2: What reports can be collected with respect to hacking incidents compromising security? Answer 2: We have several alerts and notifications set in the system which monitors and provides report of interruption and inconsistency in communication with devices. Apart from that, data in rest and data in motion is strongly encrypted and hard to temper with. We also make sure that the installations of the devices and communication between them is temper proof and additional monitoring sensors and systems can also be implemented to provide double layers of security. Question 3: How do you address bringing in devices or "things" that are speaking a proprietary protocol? (2) If that is not possible, we suggest implementing alternate devices or communication channels to achieve the same goal. Question 4: Does your IoTConnect have an API that can be accessed for integration to other cloud environments? Answer 4:Yes, it’s a service based architecture which can be configured to work on various cloud environments. Also there is a rich set of APIs available which help you create and manage some of your own apps on top of IoTConnect. You can leverage this to interact with any of your customer mobile or web apps. Question 5: What information and data do we need to support our model? Answer 5: Data that is needed to collect is from the sensors and the external systems we will connect over the internet. This data is transformed by the application and analytics. Question 6: What is Industrial Internet of Things and how it is different from the IoT? Answer 6: The industrial IoT Internet of Things is made of a multitude of devices connected by communication software. The resulting systems and even the individual devices that comprise it, can be monitor, collect, exchange analyze and instantly act on information to intelligently change their behavior or their environment—all without human. Question 7: Before deploying a full-scale model, do you provide a short live-size demo of your IoT solutions? Answer 7: Yes, to give you a real-time idea about the value that can be generated with IoT, we can arrange a workshop and also have a provision of deploying the pilot project. The project, depending upon the nature of your business, helps you to understand the flow of the information and how you can get insight from it.